The Irish history of the Tara Brooch begins with its discovery in Drogheda, County Louth, in August of 1850. This uneventful find happened at the seashore, which served as a playground for the two little local boys who found it. So, how did the Tara Brooch end up in the possession of the Royal Irish Academy? The answer is not at all what I thought. 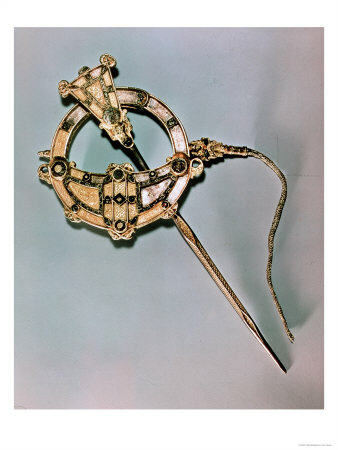 The Tara Brooch was obviously washed up from the Irish Sea. The two little boys brought their treasure to show their mother. She carried it to a dealer in old iron but he was not the least bit interested in the small and insignificant object. She then went to a watchmaker who gave her eighteen pence for the brooch. The watchmaker then cleaned it up and decided that it was a jewel of silver covered with gold filigree. He, in turn, proceeded to Dublin and sold it to Waterhouse Jewelers for twelve pounds, which was a fair profit from what he had paid. Waterhouse widely exhibited this jewel, which was named by them, the Royal Tara Brooch. The name served to distinguish it from other brooches but it had no historical significance. Whatever truth there may be to Tara's magnificent halls, it was most likely never displayed there. After all, Tara's halls were represented by green mounds of grassy earth. After a time, the Tara Brooch was sold to the Royal Irish Academy for two hundred pounds which was, again, a fair profit for Waterhouse. The style and workmanship of the Tara Brooch are of an early Celtic type and experts have found it to be extremely ancient, probably pre-dating the eighth century, but at least prior to the eleventh century. 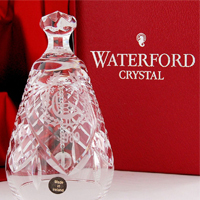 A certain design in its intricate ornamentation, known as the divergent-spiral or trumpet-pattern, had disappeared from Irish art at about that period. The base of the jewel is not silver, as first thought, but a compound of tin and copper. However, the beautiful gold filigree is what makes it so famous. The Tara Brooch is not enriched with stones of any great value, however, the splendor of the artistry and delicacy of the metal work reveals a masterpiece unlikely to have been crafted by an ancient goldsmith. Even though this is a primitive piece of jewelry, today's skillful jeweler would find his artistry inferior to the Tara Brooch. With all of the advances in jewelry making, the workmanship of this truly royal gem would be nearly impossible to copy. No description can do it justice. The Tara Brooch must be seen to be appreciated.